Home arabic makeup; Pics of the Dramatic Makeup from the Wedding Rehearsal! Pics of the Dramatic Makeup from the Wedding Rehearsal! Sorry for the delay of post today! I had to be at work by 6:45 am this morning and it was a long day. However, I like to post Monday through Friday on a regular basis because I believe in keeping this blog updated for my readers. Now that I'm home with a few minutes to spare, I wanted to show you pictures from my bestie's Wedding Rehearsal and dinner. 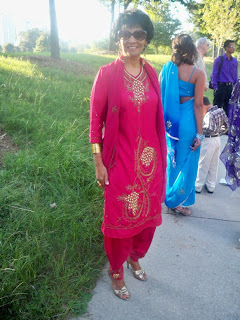 My bestie is Trinidadian with Indian/Arabic Roots. 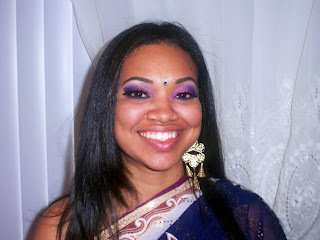 She wanted to show off her culture in the Wedding rehearsal by dressing up her bridal party in the traditional garb of saris, bindis and dramatic makeup. Of course I was excited to make everyone up...this kind of makeup is definitely my favorite. Check out the pics! Here I am starting the bride. You can click on pics to expand. You can see that I'm doing the scotch tape trick to keep a clean edge to the eyeshadow. Here's the final look without the lips...the pizza had just arrived so I planned on finishing her later. We added the sari and a bindi...looks amazing already! 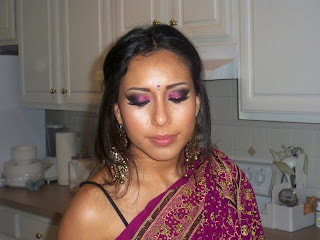 I did my good friend Melissa...I pretty much matched the eyes to the Saris that each bridesmaid wore...I don't usually like to match makeup to clothes...but this was an exception. In these looks I actually added glitter for an extra bit of sparkle. 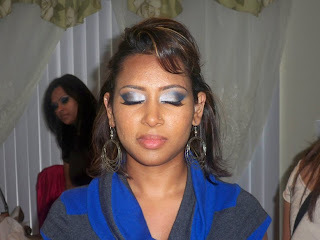 For Saiesha's niece I did a smokey look with silver, gray and blue. For Ashley I did a fusion of bright pink and purple...a very popular combination. For my bestie Alex she's actually rocking red and purple glitter with bronze in her crease. The pictures don't do this look any justice...it looked amazing in person. Here I am making up one of the ushers Brooke. 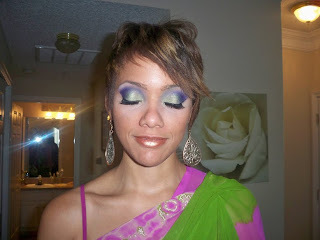 I added green shadow to go with the green in her Sari and used a purple from my 96 palette to contour the eyes. 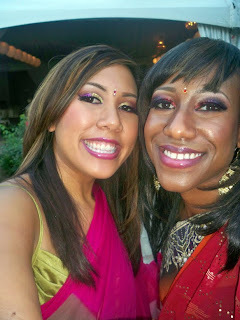 I was last to get wrapped in my Sari...at this point I was exhausted lol...12 makeovers later, lol. I took some candid makeup shots in the car ride over the rehearsal. Here's a close up of my makeup. 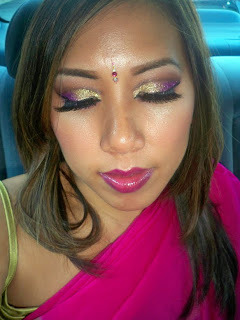 I used gold and fuscia glitter on my eyes and cut the crease with bronze. 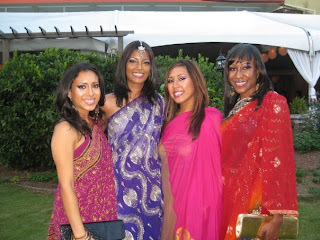 The sari was my favorite color! Check out the bride's hot mom! I did a soft smokey gray eye on her but you can't tell behind the glasses. Bridesmaids and usher shot! 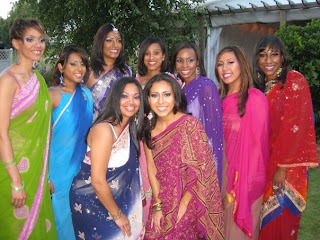 Don't the Saris just look gorgeous! 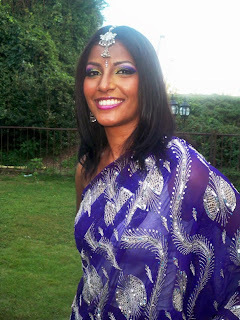 A full shot of my Sari after all the festivities. That's all folks! Stay tuned for pictures from the wedding day! wow! those are all beautiful colors. love all the looks. beautifully done as always. So pretty! 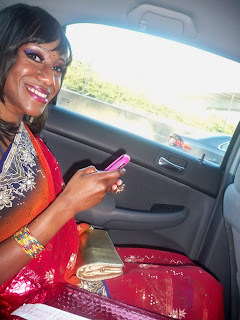 I love the make-up you did, and your sari is beautiful! Everyone looks beautiful. You look GREAT! Gorgeous makeup & wedding. Love their clothes & look. Awesome! Everyone looks super pretty. I love the colors of each makeup and the clothing...beautiful job done Ren!! Ren you look very beautiful. Your hair and outfit looks so nice. Also, nice job with all the ladies' makeup. It seems like it was a really fun wedding. omg!! You all look amazing! Ren you are such a talented MUA!!! 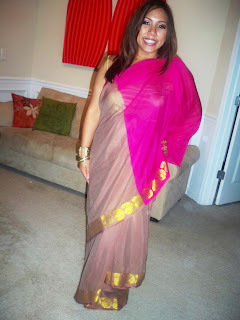 You did an amazing job and I love how you are working that sari! 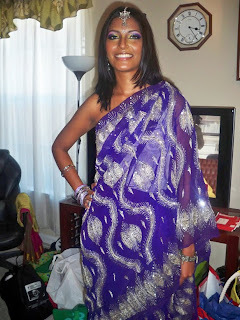 I love your sari and the look that went with it. All the girls in the wedding party looked fantastic!!! Awesome job, Ren!!! Wow! As always you did a fabulous job! Everyone looks absolutely gorgeous! aaaaaah, everyone's makeup looks so gorgeous it's not fair! Could you possibly do tuts on some of these (or at least the bride's makeup)? omg ren! everyone's makeup turned out beautiful! 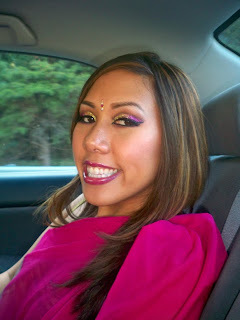 You are the best ever Indian Wedding makeup artist!! You can give some of the top Indian makeup artists a run for their money! Everyone looks so amazing, you did a beautiful job!! OMG!! You did so fabulous!! I love how you do makeup on all types of skin.. Thanks for sharing!! 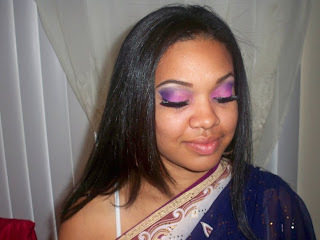 I love the sari's...so pretty, and the makeup job was beautiful. my god Ren, you are amazing!! i envy you :) all the looks are greeeatttt!!! =) i really like your color combos and how you made it dramatic but still so pretty!! You did an incredible job on their makeup and you look so pretty. Gorgeous, gorgeous, gorgeous!!! You've done a fantastic job, Ren! Your bestie that got married looks so much like my friend, Laurie. I have to tell her to look at these pics. 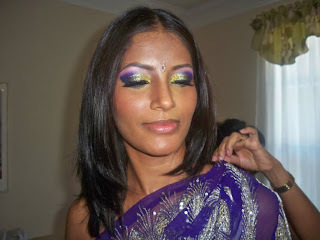 Gorgeous makeup, you did an awesome job Ren!I loved the bold and expressive colours!*_*! 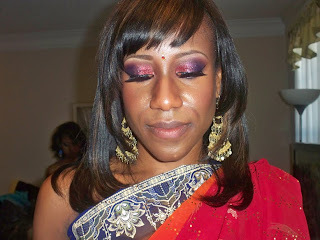 I'm part Trinidadian too and those saris just gave me such inspiration for ideas with makeup.